Original sticker illustrating a fascinating double globe. Are you a person that loves travelling? This wall decal is perfect to decorate your home. 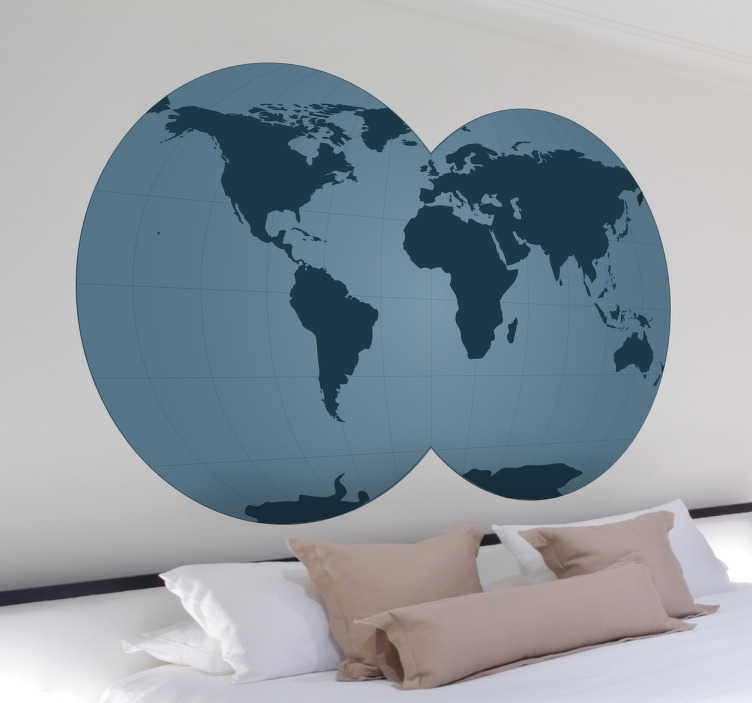 Why have one globe of the world map when you can have two with all the continents! Wonderful sticker that creates a sophisticated atmosphere. Available in different dimensions. Easy to apply with no bubbles at all.